Our Educational Worksheets aid teachers by making big ideas easy to understand for students. The WorldStrides Curriculum and Academics department design educational content that supports the Australian Curriculum and is specific to each destination and stage of development. 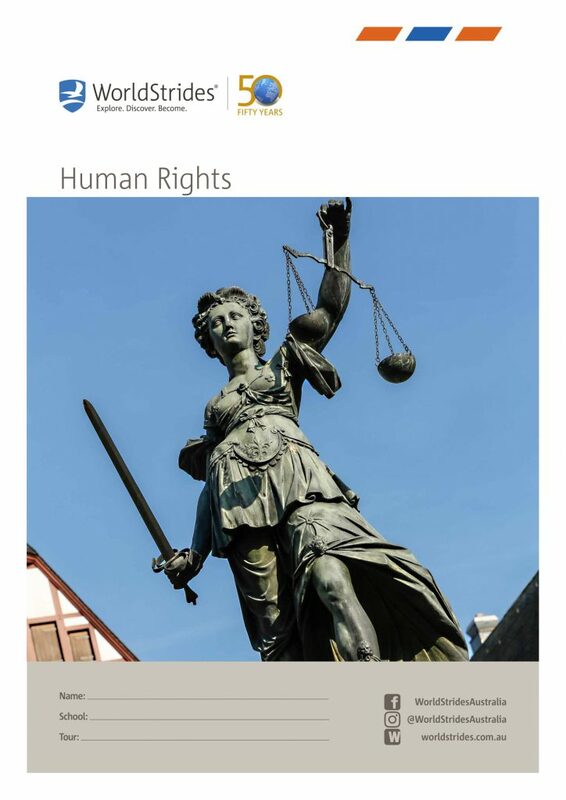 Our Human Rights Educational Worksheet discusses the universal declaration of human rights by the UN, helps students understand what constitutes a human right and spotlights a human rights activist.